One of the best parts about Britain is all of the beautiful gardens that you can see. Even many of the area's hotels have extensive gardens on their grounds that are well manicured and marveled at by guests. The following British hotels have beautiful gardens that are pretty impressive for hotel guests to see. 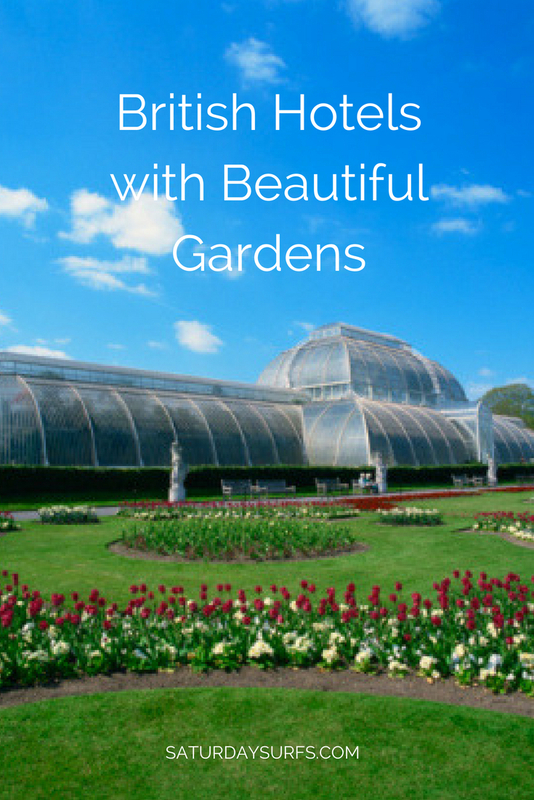 This garden was first created in the 19th century by William Robinson who was known for his natural planting. Later the garden was brought back to life by the head gardener at Gravetye Manor, Tom Coward. Today much of the garden has been completely replanted and now also includes a massive kitchen garden where many of the hotel's ingredients are obtained and used in some of their dishes. What's so interesting about this garden is its location. The hotel is located in the center of the city and the beautiful foliage makes for an impressive surprise for hotel guests. The Goring has been run for over 100 years by the same family and the hotel has undergone a massive refurbishment project and it has never looked better. It's difficult to decide which is more beautiful, the hotel or the gardens. For those looking for a charming hotel with beautiful gardens they should really make it a point to stay at Howard's House Hotel. The hotel is located off of the main road and isn't well known by those that aren't familiar with the area. The garden here includes topiary hedges and foliage, but the one thing that stands out are the numerous crabapple trees. The location of this hotel allows it to be free of a lot of noise from traffic which makes it the perfect spot to sit outside and enjoy a cup of tea while admiring the gardens. This hotel is rather informal instead of elegant, but it is truly delightful! As soon as you pull up to the hotel you will see primroses strategically places around the hotel to enhance its natural beauty. Pen-Y-Dyffryn has a lush landscape which includes foliage that adorns the stone walls and gardens that feature numerous flowers. The view from the hotel is amazing as you can see hills and valleys while sitting in one of the many deck chairs.